"And risk being ripped limb from limb by roaming packs of thieving girls"
"He'd simply decided I wasn't worth saving, apparently without even taking the time to sleep on it." "I paused beneath the arched entrance, where the drawbridge had once been, imagining all the people who had passed in and out over the centuries, every one of them carrying a combination of desire, hope, jealousy, despair, grief, love, and every other human emotion; a combination that made each one as unique as a snowflake, yet linked all of them inextricably to every other human being from the dawn of time to the end of it." "Life. There it was. In all its beautiful, tragic fragility, there was still life, and those of us who'd been lucky enough to survive opened our arms wide and embraced it." 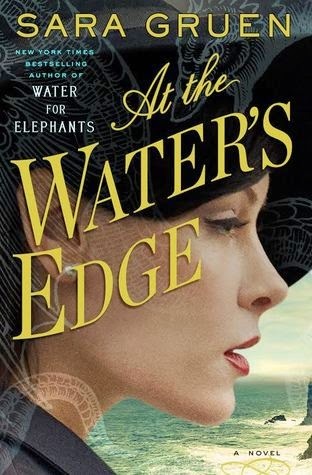 I loved her Water for Elephants, so I will pick this book up and give it a try.